Sometimes you just need a place to hide for awhile. Something happens and you feel vulnerable and wounded. You want to crawl back under the covers and not face your world. Only life doesn’t work that way. You still have things to do, people to take care of …life demands doing, especially when trouble surrounds. 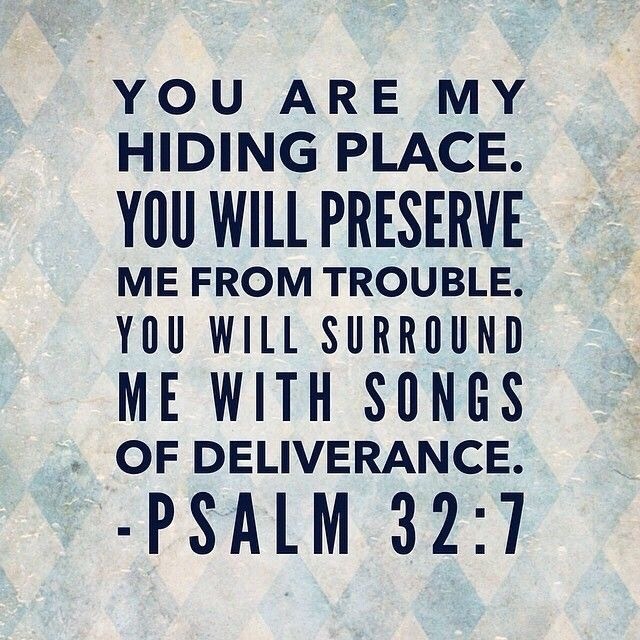 There is a place to hide in for a while that is a healing place. A safe place. A place of refuge where gentle songs of victory, thanksgiving and praise echo all around you. That place is God himself. He invites you into Himself and says, “Hide here– let Me be your refuge in the storm”. Instead of crawling back in bed, crawl under God’s covering and listen to the songs of victory He sings over you. There is something to be said about the victory in surrender.